The building was located on the plantation as a meeting hall. Aprox. 1936 – The building was moved from the plantation to its current location and served as a church. Aprox. 1980 – The church building became a preschool. 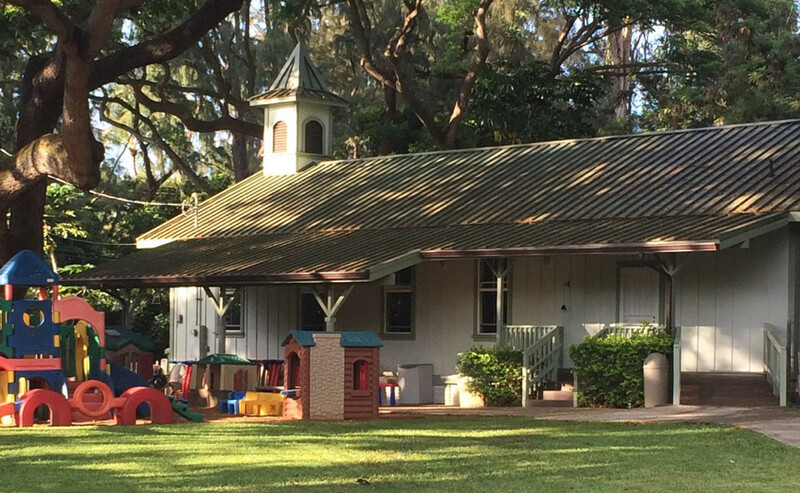 1985 – Kumulani Chapel took over management and oversight of The Preschool at Kapalua. 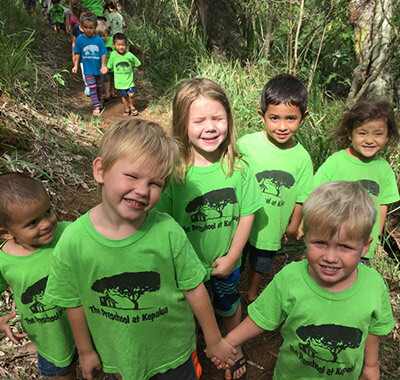 The Preschool at Kapalua held a fund raising festival at the Honolua Field adjacent to the school to raise money for necessary renovations on the 80 + yr. old building. Fun was had by all who attended and $10,000.00 was made that went into the completion of numerous projects, which included new bathrooms and new windows. New projects were started as a result of the fundraiser resulting in a new roof, new flooring and carpet, new office space, new siding, paint, a new ramp and stairs. Time and labor were donated by trades people in the community and from Kumulani Chapel. Family Fun Festival was held as a fund raiser to continue in the renovations and upgrading of the preschool’s facilities. This well attended event was open to the public. 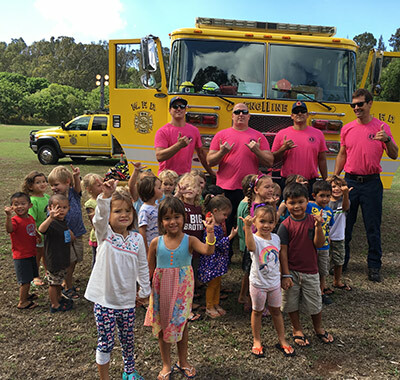 The Preschool at Kapalua appreciates the support given by the community and local businesses. Volunteer trades people from within the community and Kumulani Chapel donated their time and labor to continue in this worthwhile project that included the addition of playground equipment, sprinklers, the front entrance awning and a drinking fountain. 2008 – A new sidewalk with turn around for trikes and cars was added. 2010 – Septic System replaced. 2015 – Interior painted. New bulletin boards and shelving added. New Attic fans and air conditioning along with loads of new gravel added to the driveway.